My obsession with type began many years ago when as a small child I used to watch my grandfather set lead type for printing with his clunking, trusty Heidelberg letterpress machine. I also used to pour through my dad's type books – he had a great little collection since hand-lettering signs was a hobby of his, and I believe he used to make a few extra dollars making signs for local business around town. 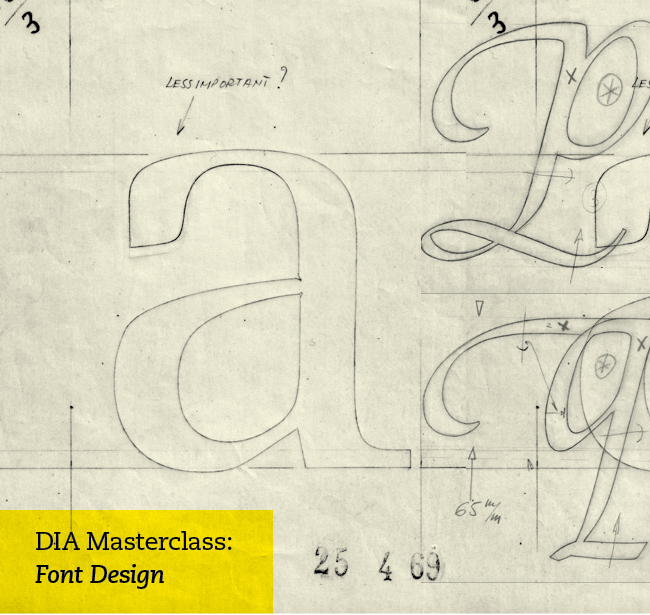 Which is why I'm pretty excited about the upcoming Masterclass being run by DIA – the last of three workshop days in the series. It's an all day event at the Australian Museum 17.11.12 (soon!). The lineup includes Dr Louise McWhinne from UTS plus type designers Wendy Ellerton and Dan Milne. Cost is $200 for DIA members or $250 for non, and they're saying that participants have 3 years' experience in the industry. If you're interested, drop a line to my dear friend Jacqueline Hill: jack@designasaw.com to let her know. Be quick, places are limited. Its 17 NOVEMBER...so people have not missed it. I don't have any word to say about this kinds of design because Design is so good and very attractive also even i had compared with many sites. However, i also want to let you know about classy packaging design which can make your product look and you can get good sales of your products and can promote your brands easily. I highly recommend them.